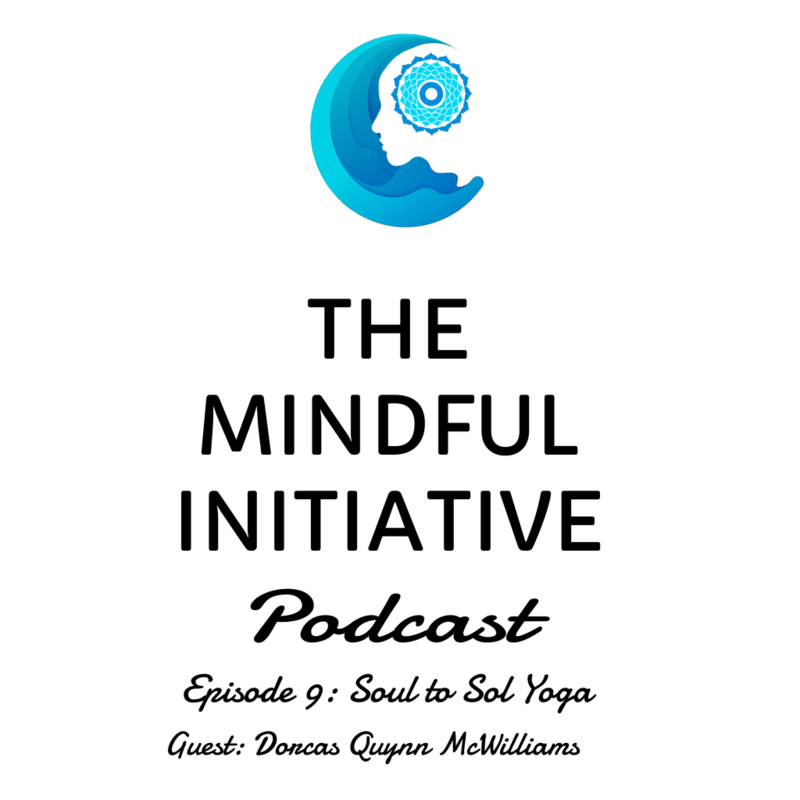 This week our guest is Dorcas Quynn Mcwilliams, who was my first Yoga teacher. She is the founder of Sol Yoga in Frederick, Maryland, US. Dorcas has had a profound impact on my life not just by being my teacher in the first few years of my Yoga life but as a role model, as a parent, as a mentor and as a friend. As we have both moved physically in different parts of the world we still connect because of our foundation in Yoga. Her studio in Frederick has been adjudged as the “Best Yoga Studio” for many years by local residents. We talk about the importance of stillness, travel, Yoga and much more. Currently, she lives thousands of miles away from her home in New Caledonia with her three children and her husband Adam. Dorcas: and that’s probably the biggest thing that parenting does for me. It is a direct opportunity to practice what I preach, know, practice patients, to practice kindness, to practiced stamina, steadiness, finding the balance between effort and ease. Nitesh Batra: To all our guests who who join in on her show, I usually ask them a little bit about their background or anything about their spiritual upbringing and where they feel they are today. So if you can share a few tidbits about that, that’d be great. Dorcas: Sure. And thank you for having me. And I feel very honored to be your guest and to be asked these questions in general. The word that popped out at me and your question was upbringing and it’s been something that’s been on my mind lately because I’m here visiting my hometown. And so a lot of memories are very present and, a lot of nostalgia of upbringing. And from a spiritual perspective, I’ve been remembering how faith was a big part of my life as a child because we were, we were raised on the Bible and there was some church, but it wasn’t so much the church that I remember being raised on as the Bible and the principles in the Bible has interpreted essentially by my parents, by supporting texts, by sermons we would listen to on the radio and then sometimes church. And so I remember feeling very connected to God and having a lot of faith in particularly remember it being tested and exemplified in, in my memory, coming through and into high school and maybe a little bit before then and just feeling like not tempted and not worried because I had, I had an understanding, I had something to lean on. Dorcas: I had this faith and so I felt a lot of strength from that. And conviction and clarity and confidence and ease. I think as a result of my understanding of faith, there was always a little bit of a conflict too because there was the awareness of a hypocrisy that started to become bigger and bigger. And bigger, you know, I would start to see other people, you know, representing what I thought was my religion or my spirituality, but it didn’t align with my understanding of that faith and so the wheels started turning in my mind and it started to sort of crack down the, the confidence that I had in that faith and in that understanding and in that what was religion and, and then there was a long period of sort of disintegration of faith, disintegration of my understanding. So that’s part of the question that you asked. I don’t remember the rest of it. Nitesh Batra: I think that’s good enough from an introduction standpoint and the upbringing standpoint and that’s the most important thing. What got you started and spiritual upbringing and which was your faith and depending upon what your understanding of God is or what your description of God is, it’s different for everyone. And many years ago, I think in 2005 or on six, you decided to start teaching and I believe you got became part of that much earlier than that. How did that happen? Dorcas: How did yoga. Yeah, Yoga happened accidentally. I started in maybe 1999 or something like that and was very interested in physical fitness and I had always done fitness and had done martial arts from the time I was five and would try a number of different things and happened into a yoga class and it was the second yoga class I took. The first yoga class was very weird and I thought I’d never do it again. It was, it was just weird to me and hyperspiritual now in my, in my assessment, now I can see that, that I just wasn’t into that aspect of it because I was very body oriented and into the fitness, but then years later dropped into another yoga class with the teacher named Catherine, and it was very physical, it was very physical and I remember I was sweating. I was physically challenged in downward dog. Dorcas: Something about it captured me, the physical aspect captured me, but there was a much stronger resonance and I couldn’t put my finger on what it was, but I absolutely 100 percent knew that I wouldn’t stop doing it. Which was weird because I wasn’t an obsessive type of person, but I went home and I wrote down on this little sheet of paper, I had that listed important dates and I wrote down started yoga because I just knew that that was going to be an important day and I never stopped and that was the beginning. I practiced with Catherine and other people for not that long and Catherine looked at me one day and said, can you come up and teach? And she just told me that I was going to be a teacher. She didn’t ask me. She just pretty much told me that I should. Dorcas: So I did and I had been teaching, you know, fitness and karate and other things. So the teaching part was a little bit natural and a little bit foreign. Now I can see that I’m grateful that someone just pushed me into it because I would have had so much doubt around starting to teach because it felt still felt mysterious and foreign and so much bigger than I could ever understand, you know? So that’s how it started. And that’s how I started teaching. And then teacher training was also probably premature. I started teaching teacher training not that long after I had been teaching probably five years, something like that, which in America is a long time, but now that I understand more about yoga, it’s not very long at all to be a teacher of yoga. So that’s how it started. Nitesh Batra: So I’m going to touch a little bit on the faith of Yoga and we know Yoga has roots in India and you had your background in a different faith and even though we try and and put it that it’s secular in many ways, but there are many religious aspects that do come in as part of teaching yoga. As part of practicing yoga. How did you align both when you started and now many years later, what do you see them as? Dorcas: It’s a great question and there was not an alignment. When I started, there was a disconnection or separation or a containing. There was the physical practice and that was what I was focusing on and it was easy for me to separate or not explore the other aspects of yoga for a long time. It was easy to do, I don’t know if that was super conscious, but that’s definitely what was happening because I was conflicted and a little bit afraid to be honest because you know, Christianity, for me, a lot of it was about fear, be afraid of the wrath of God, be afraid of being drawn into other religions, be afraid of idolatry and I was aware of that and I was also, my family culture is very prominent and strong and partly just because of the family culture and partly because of the religion I’m sure, but I felt like I would be judged and was probably afraid of being not accepted by the family if I was doing this thing, Yoga that has roots in India and is affiliated with other religions and you know, even right now I feel afraid to talk about this because if my brothers listen to this, I feel like they will go, Oh yes, that’s exactly what it is. Speaker 1: and spirituality that is expressed in yoga and of course in miracles, I’d have to give it some credit because it gets very non dogmatic and it was very helpful in synthesizing my exposure to those three various spirituality slash religion. Really sinking into yoga. As a result. Nitesh Batra: You’ve touched upon some very, very important things it brought up some memories for me when I was here and one of the important things that I learned here with you and at the studio was this feeling of community and you have been away from the studio for about four years now, five years in a completely different land and there are others who are helping you run this place. Talk a little bit about the community building because that’s such an important thing that I have learned from you and that’s what I try to do in my teaching, so as well, but I would like to hear your thoughts on it. Nitesh Batra: That’s what I’m trying to get to that it’s such an organic and natural process. Some people force it and I’ve seen some people really trying hard, but it comes out naturally if it has to. Otherwise, if you make too much of an effort, you might sustain for a certain period of time, but eventually it will collapse. So that’s what I was trying to understand. You know, what are some of those natural qualities and I think they are rooted in the faith in the upbringing. There’s so much that goes on and especially when you talk of your family being surrounded and I think the other aspect that I have seen over the years is that Dorcas is a mother of three and bringing up three kids who have seen all of them grew up. The first one was born when I was here in our teacher training back in 2008 or nine. And how have kids changed you as an individual, as a practioner, as a teacher. Dorcas: They’ve changed me in incredible ways. There’s a couple things you touched on, but I’ll go right to the mothering and the parenthood piece and that is profound. It’s a profound practice in love and just that, gosh, I could go in so many ways with this. Anybody as a parent knows knows there’s so many highs and lows that come with parenting and it has both inspired me and made me desperate and, miserable. A steady through that has been the practice of yoga and it’s again, it’s been that tool that has helped me process it and watch it and be aware of it and even just on a physical level, you know, the experience of being pregnant and childbirth and surrendering to that experience and allowing it to move through me. You know, the metaphors that we talk about in the yoga practice. Dorcas: It was a profound live experience of doing exactly that and an opportunity to practice what I’m preaching and that’s probably the biggest thing that parenting does for me. It is a direct opportunity to practice what I preach, you know, to practice patience, to practice kindness, practice stamina, steadiness. Finding the balance between effort and ease. Gosh, on a physical level, on an emotional level, on a mental level, not reacting when your child is having a temper tantrum or is out of control. You know, how to remain nonreactive. I mean that’s all yoga. That is all the practice of Yoga, so I’ve both loved and hated that opportunity to practice the yoga. So it’s, of course it’s changed me. It changed my life because my life is not mine. It’s not just mine, not, it’s not just where does Dorcas want to go? What is Dorcas want to eat? What kind of jobs Dorcas want to have. It’s how about Dorcas and this family, she’s one fifth of this family now. One fifth. Nitesh Batra: One fifth, we’ve talked about four fifth off the family. Let’s talk about the last person who has,, been a support,, who has been a friend I would like you to touch a little bit about the support that you get from your partner and his role in who you are today. Dorcas: Well, I’ve known Adam for more than half my life and we’ve been in partnership for 23 years and any, any long relationship like that has many chapters and highs and lows. And again, just like parenting the periods where you feel like you could never get better. It’s the greatest thing ever. And periods where you just want to leave, you know, it’s really hard. It’s really, really hard. And the, Oh, it’s been just my biggest opportunity for growth. Biggest hands down, biggest opportunity for growth to be in a relationship with one person that ultimately you know, each other pretty darn well and you have done, you’ve said things that you should or shouldn’t have said and you’ve caused wounds that are very hard to recover from. And then to still stay in that relationship and not run, that’s the real work. And I don’t have advice to give. Dorcas: to be fully expressed as a person. He doesn’t surrender, he doesn’t allow suffering for long. And it’s interesting to, to witness, you know, he keeps, he gets out of something if it’s not the right situation. And yeah, it’s a good quality. Something I respect him. He also keeps our life adventurous. Nitesh Batra: Moving along. I’ll get back to one of the earliest days when I was here in 2008 slash 2007 somewhere around that timeframe. And I had started yoga with some time before that a few years before that. But one of my biggest conflicts that I dealt with practicing here in the US was I grew up in India, but then I was here for a long time and I remember attending the first class at Sol, the $5 class on Fridays, the community class, there was music, there was quietness. They were a lot of things that were going on. I felt great. I felt hooked. That was my beginning. But then over the years I felt very conflicted that we’re learning one aspect, which is the Asana aspect and I didn’t know, better, when I was doing it. Talk a little bit about yoga in the US and how, if now that you know a lot more in depth about what yoga is all about, people who are coming from different backgrounds, how do they adjust and, and what has your experience been and if you have some suggestions for some of the others who are interested in, in practicing in different parts of the world. Dorcas: So I’m just starting to learn about cultural appropriation. Dorcas: again, the more I learn, the less I know and there’s definitely conflict that I have and that I’m aware of. The more I travel to, you know, the, the more I’m just aware of how, how small the market on Yoga is in America and how cheap it can be, how cheapened the practice can be, and at the same time I see that happen to many, many things, many, many things outside of yoga and that’s one way to look at it that it is being sort of reduced and cheapened. It is a little bit of a negative way of looking at it. I remember talking with Dr Rosie, who was both of our teachers and she’d say, are you bidding physician? And now a nice close friend I would say. And in her way she would often ask similar questions about how the yoga is being taught and offered. Dorcas: And in my immaturity perhaps I would just say that we were meeting people where they were. That was how I explained the simplification of the practice or the, you know, the focusing on the Asana as you said. My reasoning for that, or my excuse maybe was that we were meeting people where they were meeting people where they are. And I remembered learning that part of, I think it was Desikachar books when I started learning and that was part of the practice of how you could amend the practice to kind of meet the needs of the individual. And so that, that has been, an explanation, I don’t know if this is answering your question, but sort of so there’s something to maybe it’s Americans, maybe it’s maybe it’s more than Americans, maybe it’s Westerners and their need for physical fitness and their understanding of the body and their identification with the body and that comfort level there. So beginning with Asana and I think about my own personal journey with yoga and I would have never begun yoga ever if I had to start with a different aspect. Few had started teaching me about the Yamas and Niyamas. I would’ve walked away. Nitesh Batra: It’s a great entry point. Dorcas: It’s a great entry point and I think it’s, as long as it remains the entry point, then there is the potential for the entire breadth of yoga to be understood over time. Nitesh Batra: That brings up another important question and we’re getting towards the end of our time here, so I’ll keep this question short, and, and, and leave it up to you. How do you want to answer it? So one of the things that I’ve noticed in a lot of classes and in lot of teachings is the gender ratio and it’s cute towards more females than males. The world that we’re living in right now, we need more of things like compassion, empathy, Yoga, meditation, whatever name be called, and to get to a point where we have more men coming in and expressing emotions or at least taking a step towards that. I think it’ll help better the society. But from your perspective, what is that we need to do in our society to make that happen? Because Asana is just physical. We do the physical thing, we get the benefit and we move on. But Yoga is much deeper. Empathy is much deeper compassion as much deeper. Dorcas: I agree that we need in touch with their emotions for sure. I think that would be great. More men in Yoga. But to your broader question, how do we cultivate more compassion and empathy in our culture and in this time? Maybe the simplest answer is more stillness, which can be achieved in many practices. Stillness I think yields more presence and more presence yields the natural expression of the range of human emotions including compassion, empathy, so whether it’s yoga, Asana, which for many people is relative stillness or meditation, which again, for a lot of people it’s maybe impossible for them to imagine sitting still. For others. That’s their way in. Maybe it’s mindful cooking, you know, or running as a spiritual practice or as a way to help center or focused. So I feel pretty neutral on the practice, but I feel convicted and strong that there needs to be a practice, a daily practice, and that just baby step by baby step moves towards awareness and awareness. Dorcas: And to me that is the., the big need is just more awareness and my meditation practice, I mean to pull back in one of your previous questions, after I had my third baby, my life was out of control. I felt more chaos internally and externally than I’d ever felt there was no way I would have time to get on my yoga mat and do a one hour asana practice every day, just not possible between babies and breastfeeding and running a studio and husband and you know, all the things that life has and it was that 20 minutes of stillness that I committed to that was so efficient and so effective in physical, mental and emotional health, increasing physical, mental and emotional health. And sometimes I had to split that into 2, 10 minute segments. Sometimes I had to hide in the bathroom and turn the shower on and just pretend I was taking a shower. Dorcas: You know, I had to steal that time for a long time. But after five years of a daily, 20 minute minimum sit, I think my awareness has increased dramatically and it’s impacted my ability to parent more positively. I’d like to think it’s helped my relationship with Adam. I definitely think so. I think it makes me more conscious business person and a better friend. So I know a better mother also. I hope so. I hope so. So that’s stillness, more stillness, because we know we are naturally inclined towards, I believe we’re naturally inclined to express our goodness and connect, you know, with the goodness and others and, and when we’re busy, whether it’s in our mind, in our body or in our life, we can’t access that. It’s just too many layers, too deep, but simply being still and taking the time to do that. I think if we all did that, there would be more compassionate man or woman, right? I think we see a little bit more presence and better decision making and more empathy. But I could be wrong. Nitesh Batra: We all could be wrong. We all could be right, doesn’t really matter. But I think stillness is the key. Stillness is the answer to this. I’m very, very thankful that you could take our time and we could do this. We’re here in this beautiful studio in Frederick and Sol, which has grown in, in many ways, even though it’s last three floors, but it has, it has grown. It has seemed like thousands of people over the years. I wish more and more years here and for the community that comes in that benefits from, from the teachers who come and teach here and from the system that you provide. And thank you so much for being a part of our show. Dorcas: Thank you, Nitesh. It’s really my pleasure. Nitesh Batra: Thank you everyone for listening in and tuning in. If you like our show, please rate us on itunes or Google podcast or wherever you listen to the show. Thank you so much. This entry was posted in Ashtanga Yoga, Blog, Meditation, Podcast, Yoga. Bookmark the permalink.